Will Dages from Findaway Voices shares insights and information about the growing market of audiobooks. The audiobook market has seen remarkable double-digit growth every year for the past decade. We don't see it slowing down any time soon. High-profile players continue to enter and invest in the audiobook space. Google Play, Kobo, and Walmart are all raising awareness and new options for listeners, and all started selling audiobooks in the past year. If you've been thinking about creating an audiobook, or selling your audiobook wider, there's never been a better time. How much does it cost to make an audiobook? We get this question so much we built an audiobook cost calculator. Check it out—it's fun! The cost of an audiobook production depends on two key factors: the length of the finished audiobook, and the cost of the narrator. As a rule of thumb, nine thousand words will record to about 1 hour of audio. This means that a 65,000 word novel will end up being around a 7 hour audiobook. If a narrator charges $200 per finished hour, that production will cost you $1,400. It's important to note that audiobook productions are billed based on the length of the finished audio, not the amount of work that goes in to creating that audio. It can often take a professional 3–5 hours of work to produce one finished hour of audio for an audiobook. When you see PFH next to a rate, that's what it means: $200 Per Finished Hour. Narration is more than standing in front of a microphone and talking for 9 hours. It's a performance job—the narrator has to keep voices, accents, and intonations consistent across the entire recording, even when sessions may be split between days or weeks. Recording has to happen in sonically-clean environments, usually small studios that can be quite cramped and hot (microphones can hear the hum of an air conditioner). There are strict technical standards for audiobooks that can be intimidating. Some narrators handle their own editing and mastering, and others sub-contract it out, baking that cost into their rate. Narrating a book sounds like a fun job at first glance, but it can be grueling. Hiring an experienced professional is well worth it. So how much time, effort, and energy is it going to take to make your audiobook? At Findaway Voices, we've worked hard to make it as simple as possible. Most productions are complete in about 6 weeks, with minimal effort from an author. The first step is filling out a questionnaire about your book. We have a casting team that uses your answers to pair you with the perfect narrator for your book. We'll recommend 5–10 narrators in a personalized casting list where you're able to see rates, bios, and listen to samples. When you have a few top choices, we'll coordinate auditions so you can hear them read a small section of your book. Once you find the perfect narrator, we help guide you through the rest of the process. The narrator hits the studio with your finalized manuscript, and you enter your audiobook's metadata and choose where you want your audiobook to sell. As the narrator uploads audio files to the website, you're notified that they're ready for review. Once you've approved the audio, you pay for the production and we get to work sending the audiobook to every retailer you've chosen. There's no point in making an audiobook if it doesn't sell. It used to be that Audible was the only player in town. Times have changed. Audible is still a major player, but there are a lot of companies innovating with different target customers, different business models, and different listening experiences. Findaway Voices is the wide option for audiobook distribution. We help your audiobook reach about 30 storefronts all over the world. Some are big names like Apple, Google, and Audible. Others aren't household names, but have strong presences in libraries or international markets. 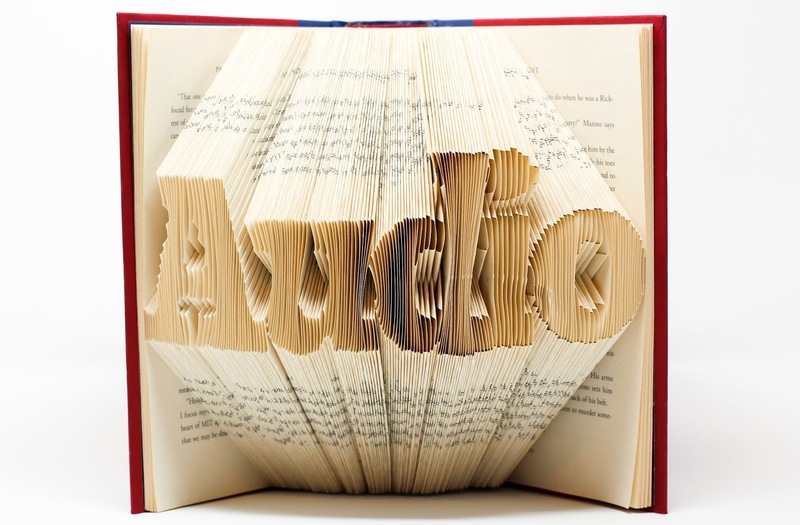 They span different business models and target different types of audiobook listeners. Some are taking big bets in monster markets, others are taking lots of small bets in multiple niche markets. The diversity is healthy, and is exposing audiobooks to more listeners than ever before. Consumers continue to have more options for listening experiences, more ways to discover and buy audiobooks, and they are increasingly expecting books to have an audio version. Will your audiobook be there when someone searches for it? Will, thanks for being our guest today at Romancing The Genres. And thanks also for an easy to understanding post on Audiobooks. Understanding the difference between the time to record the story and the time to have a finished/professional product is useful. I've thought of trying to narrate my shorter non-fiction or maybe even a short story but am certainly rethinking that option now. Showing a major gap in techie understanding with this question: When you say the file is uploaded to the website, if it was my book, I'd have it uploaded to my website? And then I'd listen to it on my computer? And is there something I'd need to do on my website/computer to be able to do that? Great article, Judith! I feel a bit spoiled that Findaway Voices was my first experience in publishing an audiobook of The Executrix. They indeed made it easy. While the cost is high, I do feel that offering the audio format is a step up in professionalism for a writer. It's like we're now able to play with the big kids. I'm fortunate that my narrator loves my story and can't wait to dive into Book II and III of the trilogy. Yeah...I'll be saving up for a bit longer. Just curious. If your audiobooks are currently sold through Audible, can you add other outlets or is that exclusive? Will, thanks so much for taking the time to do this post. You answered the primary questions most everyone has. I have been with Findaway Voices from the beginning. I now have 4 audiobooks with them, with two more dropping later this month. They are not only easy to work with (no technology required other than going to their website), but their support team is top notch. Always answering my questions in a quick and professional manner. They are real people who read your emails and respond--not a support bot. Judith, to answer your question. The narrator loads the finished files to Findaway Voices in a chapter by chapter method, including front matter and sometimes back matter. When the narrator has completed that loading, Findaway sends you an email asking you to go listen to the narration and make any comments where there is a problem. 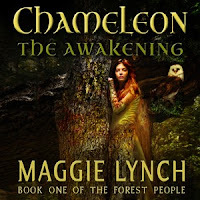 For example, in my first audiobook with them--Chameleon: The Awakening--I had a big fantasy world with a lot of made up names. I provided a pronunciation guide for my narrator but still a couple of errors squeaked through. So, I marked those by the timecode on the narration (you can see that as you listen, just like you would on YouTube or iTunes). The narrator then goes in re-records that section to correct it and re-uploads the file. When you've approved the whole book is when you pay the bill. The final step is Findaway double-checks all the audio files for your book. 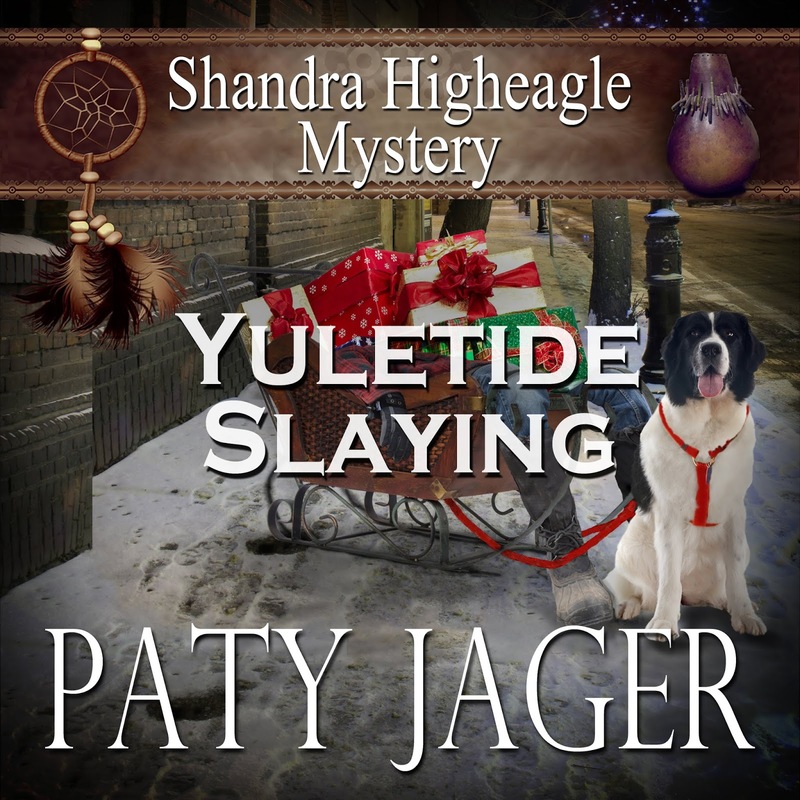 Once approved they distribute to all the vendors in their network which includes online stores, bookstores, libraries and yes it includes Audible and iTunes. After the books are at vendors (usually about two weeks after they send them); they send you a list of links for the most common vendors. It's really pretty easy-peasy from an author's perspective. 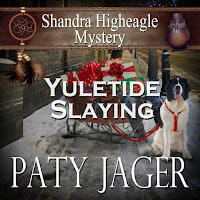 Linda, my audiobooks are with Findaway. They do distribute to Audible, as well as at least 30 other places. Many of those places distribute further. For example Libro.fm and Hummingbird are both audiobook distributors to local bookstores. I've purchased books at three of my local bookstores through those two platforms. Then, of course, the library platforms like Overdrive distribute to thousands of libraries. So, the books with audible are not exclusive. I can tell you that with Findaway I make more money at other places than I do with Audible. And I love how they are making new partnerships all the time. For example, the recently announced better rates at Apple for audiobooks. Before those rates were controlled by Audible but not anymore. 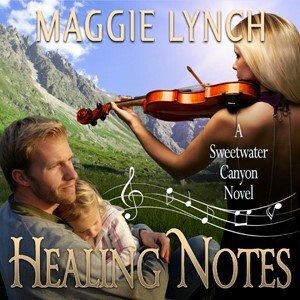 I now see links for my audiobooks in Kobo Audio, Nook Audio, and Walmart. Those were practically instantaneous once those markets opened. I hope Paty will chime in here because she moved from ACX to Findaway Voices, and she can talk about why she moved and what her experience has been. Very interesting information about what it takes to make an audio book. I like how Findaway Voices is open to Australians. Audible is limited to people with US or UK bank accounts only. Findaway has opened the market to the rest of us. Linda, Because you are paying the narrator up front through Findaway, you own the rights to the audiobook. You can either use their distribution channels, or you can choose to send it wide yourself. But other than that, I end up owning all rights to my finished audiobook. For my own peace of mind, I distribute directly wherever I can (not all the eggs in one basket idea). It adds to the workload, but I prefer the safety. I go to Audible/Amazon/iTunes direct as well as a beta program with another vendor. Then I hit everyone else I can through FV. You can do that as well, if you wish, or just be a little more rational than me and just check the box on the FV site. Also, if you go exclusive with FV, they have a special program called Voices Plus (detailed at the end of the distribution agreement) that costs nothing other than exclusivity and otherwise looks very attractive. As to professional versus personal narration? Check out that blog post. For now you can skip the middle techy stuff labeled and just read the beginning and end. Tip: I land strongly on the doing it myself side. Thanks for the link, Matt. I'm not sure I've the patience to go the Read by Author route although if there was a way to 1) create a place to record 2) figure out all the techie stuff without going crazy - I never worked sound and 3) with my hearing loss I'm wondering if that would create an additional problem 4) and then I'd still need to find that engineer. In much of the Indie Writing Publishing process I totally agree with you about doing it myself but this may be the place where my rubber does not meet my road. Fantastic reminder, Judith. What works or doesn't work for you in your career is a KEY question that I try to ask about everything I choose to do. As to the hearing issue, what I found was that if I wear my hearing aids (which get me most of the way to normal) inside my over the ear (muffed) headphones, that I can hear it just great. And no, don't underestimate the tech challenge. Once you get it, it's not bad, but it is a beast to set up. Because your average person didn't spend 4 years doing sound for live theater productions is why I gave a listing of every filter I used. That at least gives those who want to try it the places that I chose to start from. That full week to figure it out was long and frustrating (but three-quarters of that was deciding on the tools to use, which I listed). Tweaking them in is the easiest, and most fun, part of the task. Still, back to the first point. Always ask what works best for you! @Judith Ashley — great question! When I refer to the narrator uploading the audiobook files to the website I was referring to the Findaway Voices website. You'll review the narration on our website, or you can download the audio files from the Findaway Voices website to review anywhere you'd like. Most files are in mp3 format which is very universally supported by audio players, including built-in players on Windows and Mac. If the narrator is uploading in FLAC or another file format your computer can't play, we're happy to do some conversions for you so you're able to review. @CourtneyPXD Thank you for the kind words, so glad you had a great experience with Findaway Voices and that your narrator is so enthusiastic about the rest of the series. Awesome!! 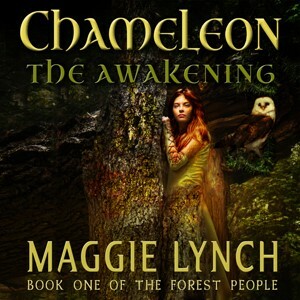 @Maggie Lynch: Thank you for the kind word and jumping in on some of the answers. You rock! I'm late chiming in because I was on the road all weekend. I have three books with ACX audible. They weren't hard to work with but not as responsive as I've found Findaway to be. I like all the distribution places that Findaway has and that I can price the audio books. My mysteries are usually 5-6 hours long and I like being able to make them more affordable to listeners. I also like we now get codes to the audio books that are downloaded from Findaway and they can't use the codes to buy a book that isn't yours. I've had exceptional luck with reviewers putting the reviews up at multiple vendors. I'm still working on getting the books noticed. I seem to be a dunce at finding audio listeners. Thanks for being here. Will. 1) I've got someone I know does music, is it possible to weave them into a production. 2) Is there some kind of paying for chunks when they're done option? I don't think I can afford $1500-$2000 in one hit, but five chunks or so might be more doable.